Starting in August, 2017 five bachelor’s degree scholarships valued at $50,000 will be provided to UB students. Let’s meet these five students who were awarded scholarships this year and hear a little about them and how they feel about receiving such an award. 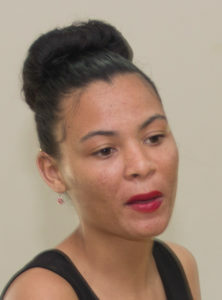 Twenty-year-old Deadra Bennett is aspiring to someday be the Chief Executive Officer of the Ministry of Human Development, Poverty Alleviation, Social Transformation Department of Belize. In this capacity she feels she will be able to truly serve the vulnerable and marginalized populations in Belize, a group in which she includes herself. Hard working, Tara Scarborough is an independent young woman who has been working to send herself to school. 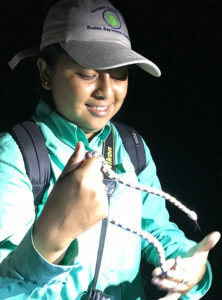 She is an aspiring Marine Veterinarian who wants to complete her Ph.D. after acquiring her master’s degree in Marine Biology she plans on returning back to Belize and give back to her country. She observes that there is not a certified Marine Veterinarian in Belize and she feels it is necessary especially since we are surrounded by water. She wants to come back home and work in this capacity since organizations who need a marine veterinarian would usually get someone from outside of Belize for the job. Tara is currently majoring in Biology because she will need most of the courses in this program in order to pursue her dream. 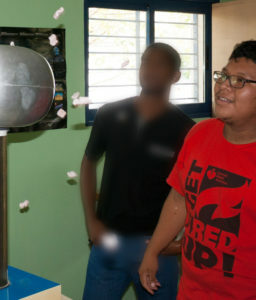 Tara chose the University of Belize because it is the closest thing to home and one of the more affordable options in Belize. She believes that her degree will help make sure the reef is always intact and healthy. She can perform different surveys to see how Belize can improve certain things that are deteriorating and raise more awareness in that field as well and educate people. The scholarship is helping a lot because she is the sole provider of her financing for school. She is currently working and attending school. She thanks PACT and the University of Belize for giving her the opportunity to attend the university and finish her bachelor’s degree. Maria Pech believes that as a person one must aspire to leave the world better than they found it. This is her drive to becoming an environmentalist and to play an important role in creating a safe place for people and the natural resources to co-exist. It was not always an easy road for Pech, “my father is the sole provider in our family and has to provide for eight persons. The journey to an education is often made more difficult due to financial constraints it may bring along.” When asked about scholarship Maria explains “The scholarship means that I would have the opportunity to meet one of my goals, that is to get an education. 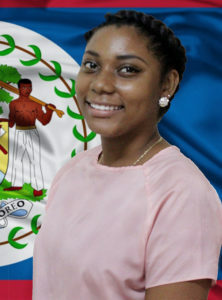 Not only will it mean that I would have achieved a great milestone in my life and make everyone I know proud, but it would also entail that I use all that I have learnt for the greatest benefit of Belize.” Maria chose to study at the National University because she feels that the University of Belize has the best training and knowledge in her program of study which will help mold her into an educated citizen of Belize. 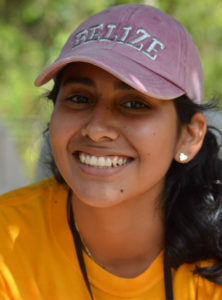 Pech thanks the University of Belize and PACT for granting her the possibility to pursue her education. The University of Belize congratulate these students for their hard work and is pleased to be collaborating with the Protected Areas Conservation Trust.